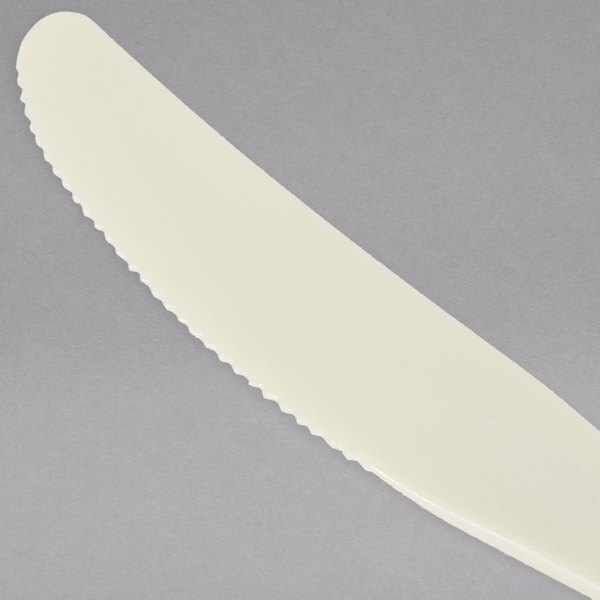 Add durability and convenience to your tabletop with this Visions beige heavy weight plastic knife. 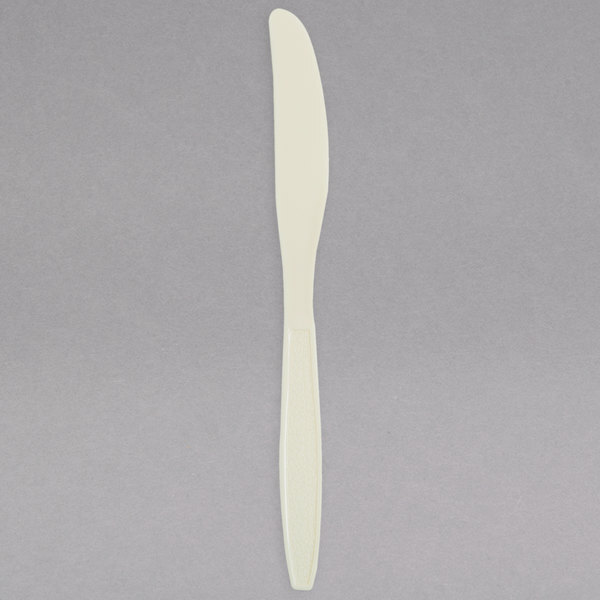 Great for take-out restaurants and catered events, this beige plastic knife is conveniently disposable so you won't have to waste any extra time washing large quantities of dishes. Plus, its beige coloring is complementary to virtually any dining environment and can be dressed up or down according to the atmosphere of your event! "Nice quality, I had a great time playing around with this website and doing comparison shopping, there were no better deals in comparison to my total purchased order." 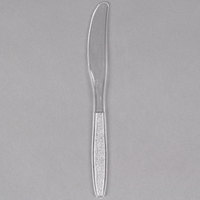 Despite being created to throw away after use, this plastic knife features the heavy weight design that is expected from traditional flatware. 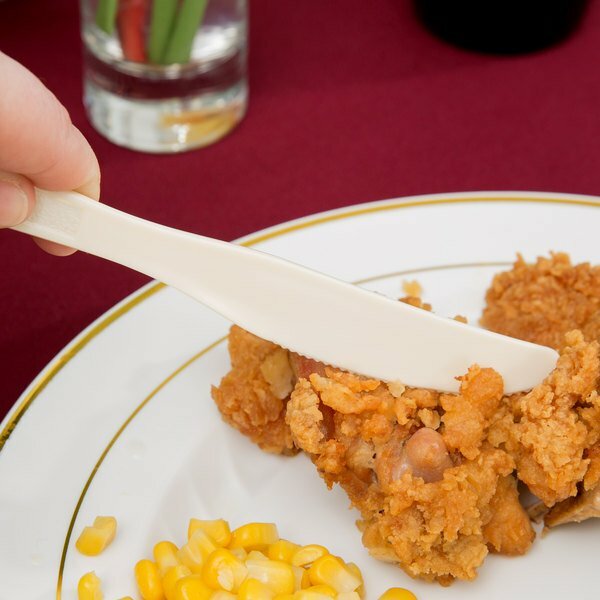 The sturdy construction helps limit bending, breaking, or snapping even when the knife is used with heavy foods such as chicken and steak. 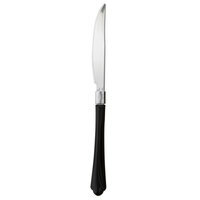 Thanks to the serrated edge, your customers will be able to slice through bread, muffins, pizza, and even some meats! 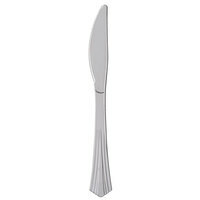 The handle features an intricately engraved design to add a touch of sophistication to your table setting. Heavy Weight Knife is strong and feels comfortable to use. 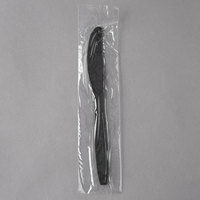 We use this item in our dining room when we serve meals to our homeless guests. I really like these knives and the super sturdyness. This product sells around a good price range and so it's deffinetly affordable.i used these for a picnic. Great knife, cuts well. Great for use in restaurants or for take orders. Knife will not bend in boxes or break when dropped, it is made of sturdy material. These have been rated 4 of 5 stars because they cannot be recycled. We really wish they could be. 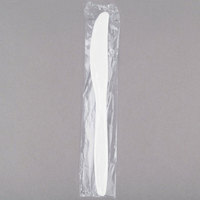 However, if you are looking for a low cost, disposable knife option these are a very good value. We recommend these for food trucks and other places where to go food is the majority of the business. 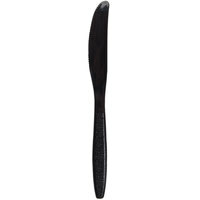 Visions also makes heavy weight forks and spoons that match these knives. Great plasticware. I use this for a wedding but they can be use for a casual event also. Very versatile and strudy. I will definitely buy these again. 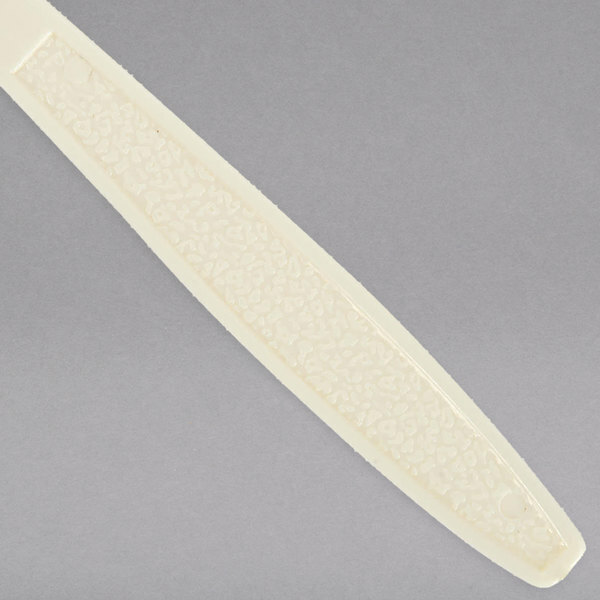 These heavyweight plastic knoves cut through food very easily. They are sharp enough to cut through meat without breaking yet you don't need to worry about cutting yourself picking it up. 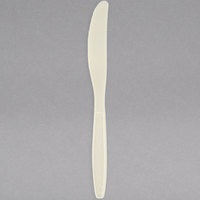 The Visions Beige Heavy Weight Plastic Knifes are the best that I have found for being disposable. The quality is excellent, they are very heavy duty. I am very happy with my purchase and highly recommend. The strength of these knives is fantastic. 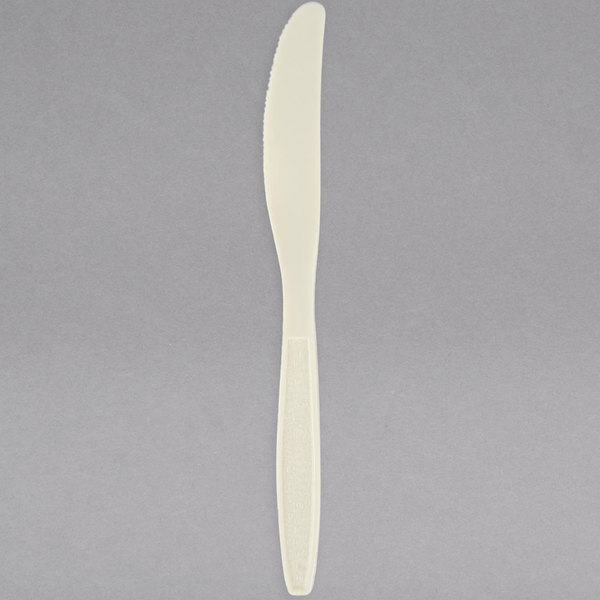 For such a low price, these beige plastic knives are a great deal. 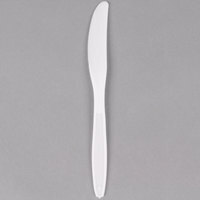 You can slice, cut and spread all with these plastic knives. 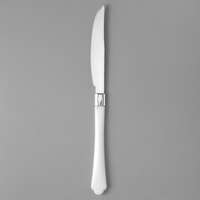 These are definitely heavyweight cutlery and are worth the price. 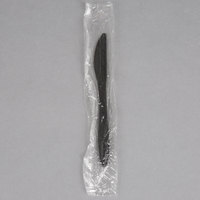 Anyone who has used a flimsy plastic knife before will appreciate that these actually cut through meat and tough vegetables. 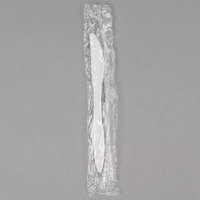 100 pack of visions beige knives. These are great for parties and birthdays also any kind of food event you may be sponsoring. Great buy! 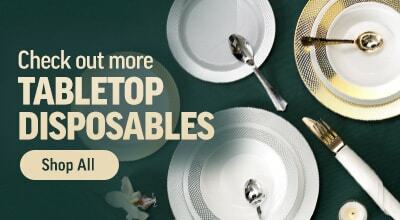 These are a no brainer if you are looking for the thick and heavy duty plastic ware. These are a fraction of the cost of the previous ones we used to received. They are not as thick but still heavy duty. 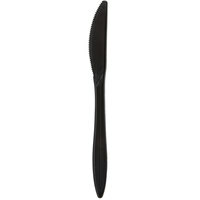 Used the Visions Beige Heavy Weight Plastic Knife to cut a watermelon. 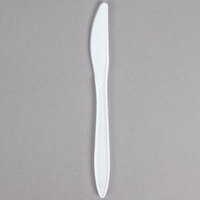 Instead of using a real knife, this plastic knife did the job very easily. These aren't the most appealing looking knives color wise, but they're good overall. Much better than the medium weight knives. There's a little flex to them, but they're pretty sturdy. Nice quality, I had a great time playing around with this website and doing comparison shopping, there were no better deals in comparison to my total purchased order.